Merrijig is located in Mount Buller village in the Victorian Alpine region of Australia, the closest major ski resort to Melbourne and to any international airport in Australia. Note: We are on Mount Buller mountain, and not to be confused with Merrijig lodge in the town of Merrijig (both of which are located between Mansfield and Mount Buller). 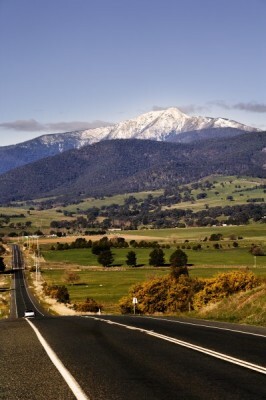 The most common route to Mt Buller from Melbourne is via Yea and Mansfield. The drive from Melbourne CBD is 225km / 3 hours. Mt Buller Village is largely a car free resort in winter, and the majority of cars are parked 1.5km below the village in a series of large carparks that are on the way up the mountain. Take a 4WD taxi with all of your gear, asking the driver to take you to ‘Merrijig’ lodge. Note: Carrying fitted wheel chains is a legal requirement in winter (chains can be bought or hired at most ski shops in Melbourne or Mansfield). 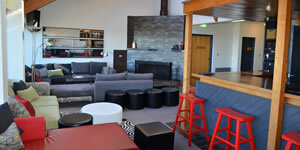 If you are coming in Summer or have a special Mt Buller permit, you can drive straight to the lodge. 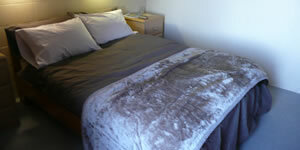 Cars can be parked at several locations in / between Mansfield and Mirimbah, subject to availability, whereupon you can catch a bus to Mt Buller village. See the MMBL website for bus details. A number of coach operators provide services direct to the Mt Buller village, allowing you to sit back and relax on your whole trip to the mountain. 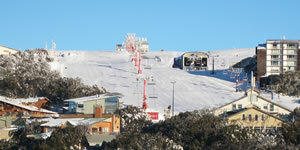 For a full list of coach operators, see the Mt Buller website. The coach services will drop you in Mt Buller village, where you can get a free village shuttle bus, or a 4WD taxi, to Merrijig Lodge.